Servings: This recipe yields 12-15 half pins. If you like apple butter, this is something you do not want to miss. 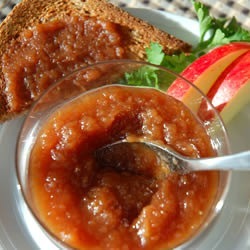 It is very easy to make, and you can use tasty apple butter in your salad or breakfast. Place the apples in a slow cooker. In a medium bowl, mix the sugar, cinnamon, cloves and salt. Pour the mixture over the apples in the slow cooker and mix well. Cover and cook on high 1 hour. 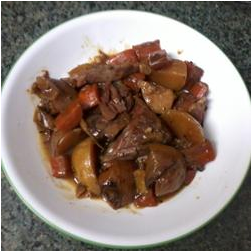 Reduce heat to low and cook 9 to 11 hours, stirring occasionally, until the mixture is thickened and dark brown. Uncover and continue cooking on low 1 hour. Stir with a whisk, if desired, to increase smoothness. Spoon the mixture into sterile containers, cover and refrigerate or freeze. What size of slow cooker should I get? 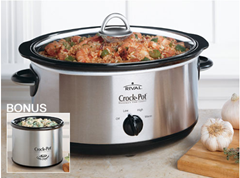 We compile information from a variety of sources about all kinds of slow cookers so that you don't have to bounce around from site to site doing a bunch of diligent research before you buy. We've already done it! Best Slow Cooker Copyright © 2019.